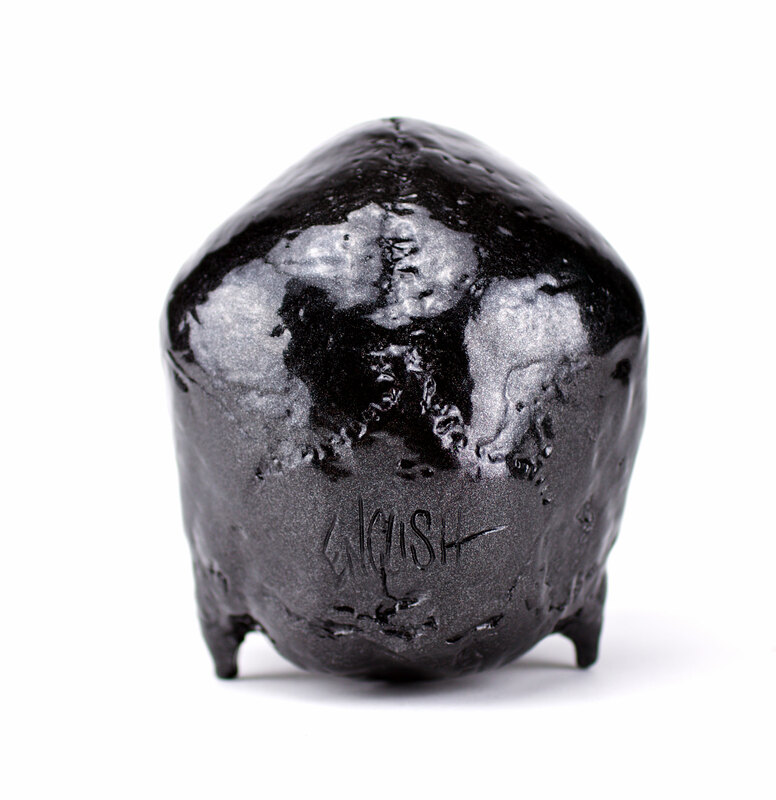 » Black Friday Special Releases: Ron English Black Pearl Heart Skull! Fade and sun resistant, this colorway is limited to an edition of just 50 pieces worldwide. 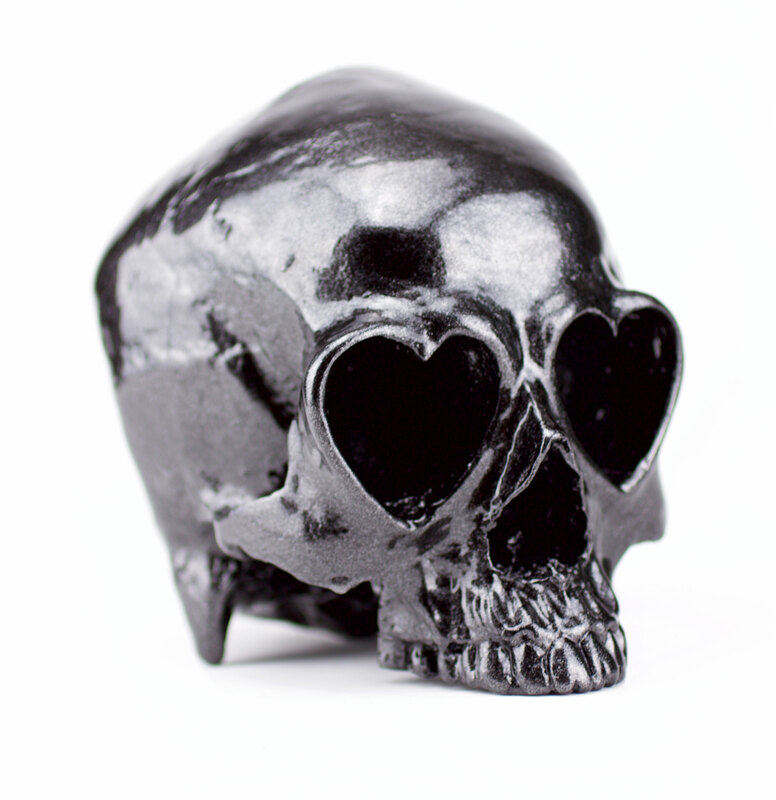 The Heart Skull sculpture is a roto-cast resin piece of art, measuring 6″ tall x 4″ wide x 6″ deep. Made in NY by Clutter Studios. Each sculpture has Ron’s Signature engraved into the back. 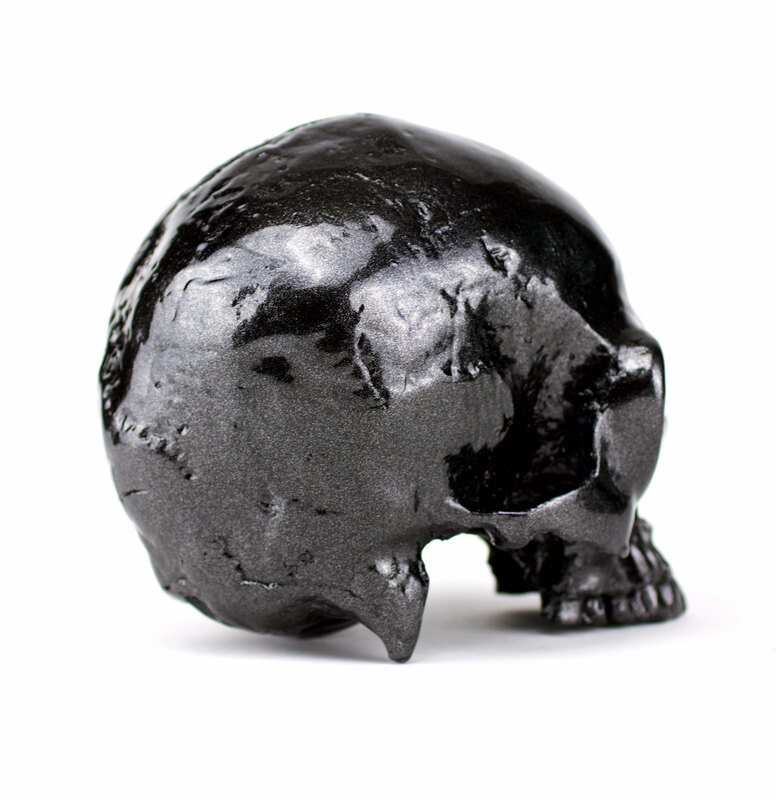 The 3D Version of Ron English's iconic Heart Skull design originally made its debut at his solo show Thought Factory that took place at The Clutter Gallery in 2013. Priced at just $150 per piece, these carbon beauties will be unleashed on BLACK Friday 11/24/2017 at 12 (noon) EST.